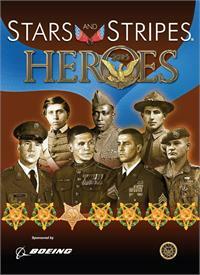 Stars and Stripes HEROES pays tribute to the some of the many military men and women awarded for valor. Heroes 2015 celebrates generations of valor. The 11th annual edition of Stars and Stripes HEROES honors some of the many service members who have received awards for valor. These Soldiers, Sailors, Airmen and Marines from all walks of American life share their memories of the actions that led to their award. These stories of just a few of our selfless service men and women represent the many who have served so bravely and valiantly on behalf of the United States. 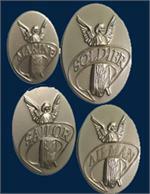 Also included are Medal of Honor recipients recognized more recently for their extraordinary actions. Each copy measures 9.5 wide by 12" high and may be shipped folded.